Have you noticed that many people say they like to get away from the city to be in the midst of nature whenever they can? It is no coincidence, nature really makes us feel better. Forest bathing is a therapy developed by the Japanese. Get to know more! Think about the most stressful of your work weeks. Now think of going for a hike in the nature at the weekend. Just the thought of walking among the trees, listening to the noise of some river and breathing the fresh air makes you feel good, right? The Japanese went beyond the studies that prove that the contact with nature really does good to us and developed shinrin-yoku. 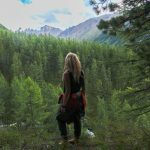 Shinrin-yoku or forest bathing is a therapy focused on taking advantage of all the benefits that nature offers and reverting them to us. Without denigrating nature, of course. You have certainly heard that, in Japan, some people die from overwork. In the early 1980s, the Japanese government decided that it was urgent to do something to reduce the number of deaths for that reason and looked to nature to find a solution. Since then, doctors and scholars have been dedicated to developing this therapy and even to include it in the National Health System of the country. The practice is highly encouraged in Japan and has gained many fans worldwide because of the numerous physical and psychological benefits. Studies show that forest bathing decreases cortisol (the stress hormone) and blood pressure. The fresh air and the different aromas of woods, plants, fruits and vegetables stimulate and strengthen our immune system. Forest bathing also works to prevent cancer and other diseases. On the mental side, walks and contact with nature regulate metabolism and elevate emotional well-being. In addition to increasing our ability to concentrate and even cure depression. And the benefits are not only for humans, nature also gets the share of it. The mere fact of having people interested in taking more advantage of the relationship with nature means that the human eye changes. People start thinking about how to improve their relationship with the environment, taking care of it and preserving it. It is common to rethink their consumption, reduce the use of plastic, waste of water and even become vegetarians. It is very simple to include forest bathing in your life. Even if you do not live near a forest or forest, the therapy can be practiced in enclosed botanical gardens and parks. If you do not have time for daily walks or long walks during the weekend, fifteen minutes in a week are enough. Whenever you feel down, give the nature a try. Go for it. Just walking through some trees will make you feel better. There are those who join the practice of yoga and meditation with forest bathing. Doing yoga or meditating in a forest is an incredible and invigorating experience. But, as we said, everything can be kept very simple. Go without expectations and walk aimlessly and without rush. The Japanese advise you to go it alone and without any kind of electronic equipment. Take advantage of totally disconnecting yourself from mobiles and social networks. You deserve it and probably need that time off. Feel the bundles of sunlight stream through the leaves and touch your skin. Stop and observe the texture of the bark of the trees and the sounds of the animals that inhabit the forest. If you feel inspired, you can even hug a tree. No matter how many people say that this is crazy, we say that the energy you will receive in return is divine.